I graduated the Pilates Center in June 2011. I’ve been teaching the Pilates method for over 10 years. I became interested in Pilates due to injury. I immediately feel in love with the technique. After practicing my own Pilates for a few years, my teacher Karen Richardson (also a Pliates Center Graduate) recommended I become a teacher. My first teacher training program was with the Pilates Institute of Southern California. After graduation I started teaching at a health club in the South Bay and Vital Balance Pilates in Redondo Beach. My joy in sharing my knowledge and in helping my clients find their own personal balance, kept me yearning for more knowledge. I went on to get my certification from the Pilates Center. I continue to take workshops and study with different teachers to enable me to give the most of myself to my client’s. I believe it is an honor to help my clients, whether they come to see me due to injury or they just want a more balanced body and lifestyle. As Joseph said “you are only as old as your spine is flexible”. Of course, he also said Pilates is about the combination of mind, body and spirit. How right he was!!! 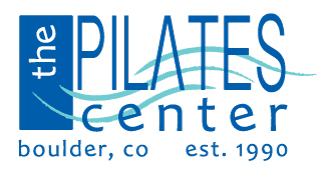 Michele was the first graduate of The Pilates Center Intermediate program in 2012. She began teaching at Boulder Bodyworks with other TPC grads, specializing in therapeutic rehabilitative Pilates in addition to her classical training. She also taught Pilates in a chiropractic/spinal rehabilitation practice, a classical ballet conservatory, and in her home studio. Additionally, she has spent a year attending Cara Reeserâ€™s weekly Teacher Training Seminars, learning Cara and Kathy Grantâ€™s techniques. After a year an a half of teaching, Michele decided to deepen her training and skills by returning to TPC to complete the Bridge program so she could complete her Advanced studies. Since graduation in April 2014, Michele has broadened her Pilates teaching horizons to include Europe, invited to be a guest teacher at Corebody in Paris, France and at The Pilates Centre in Dublin, Ireland. Michele studied and taught dance while in university, graduating with a BA degree in Dance. She then studied and danced professionally in New York City while continuing to supplement her dance income by teaching dance classes to all ages, from toddlers to adults. Learning Pilates movement skills and choreography, as well as teaching, is like returning full circle for Michele: she loves moving and teaching Pilates as she did dance. Michele feels especially appreciative and fortunate that she can share her knowledge of Pilates and teaching skills with students around the world.